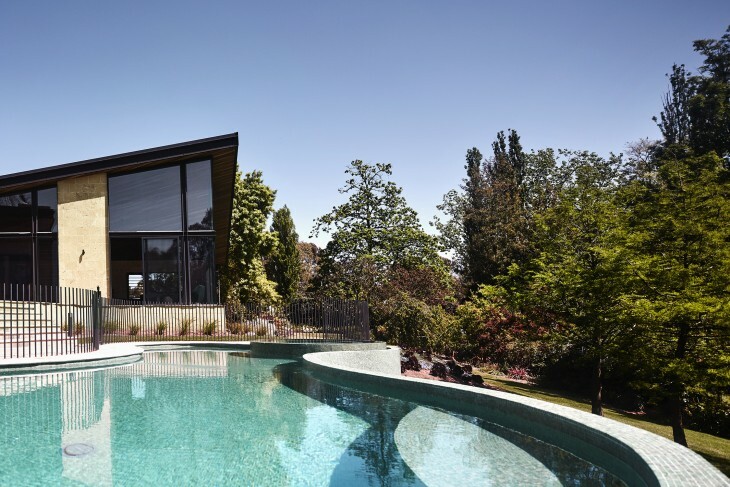 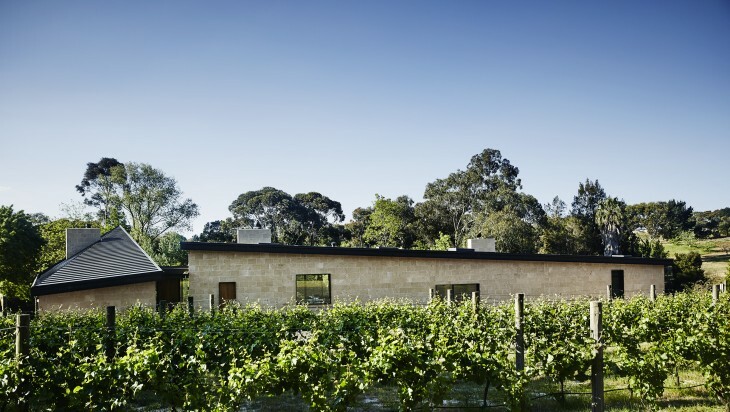 Set in an established plant nursery and vineyard in the Victorian countryside, the Wallington House house design reduces mass while creating connections to the site through materiality. 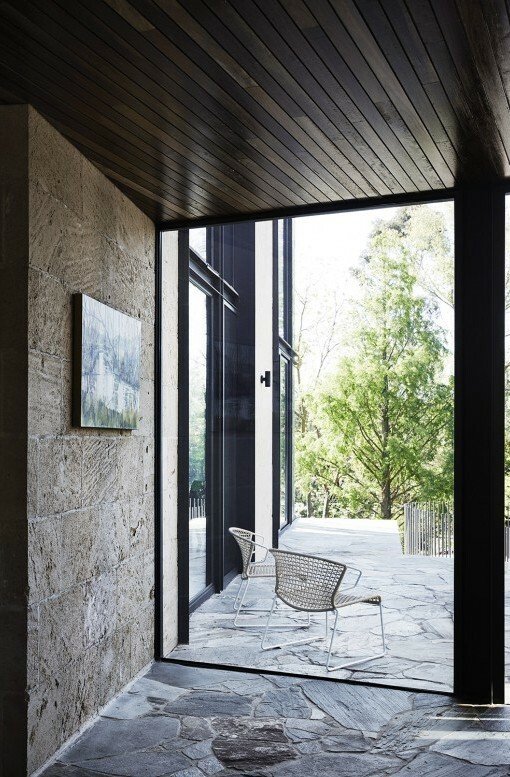 The home comprises two forms, one of which forms a guest wing. 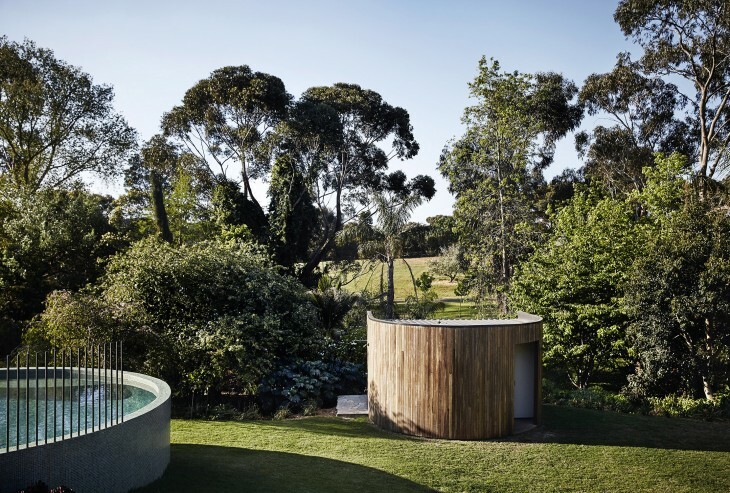 The steep slope of the land allows three kids’ bedrooms to be underground with direct access to a grassy lawn. 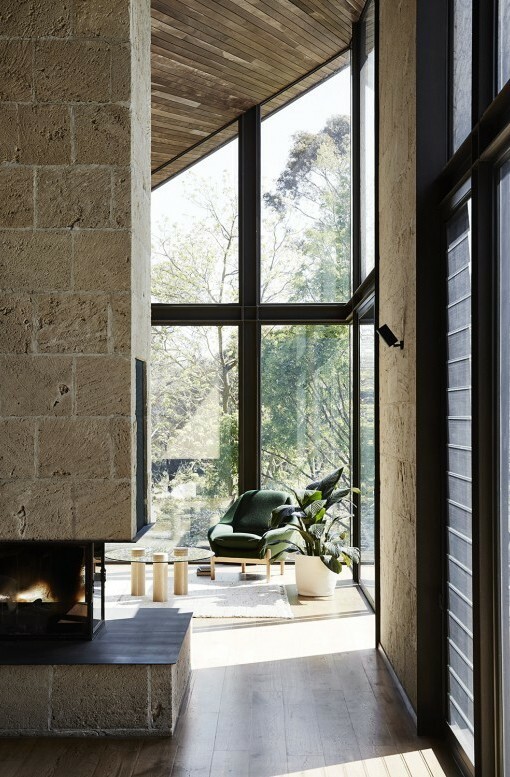 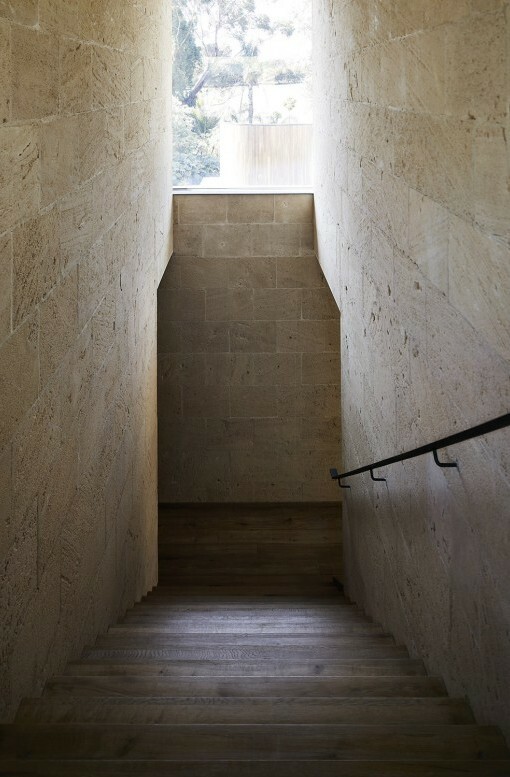 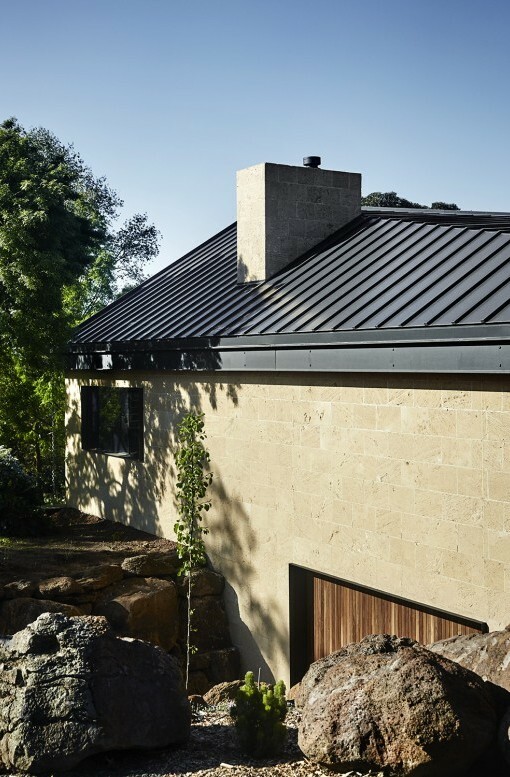 Sandstone from Western Australia, aligned with the colour of the local earth, and adopting a rural shed typology helped to integrate the building with its surrounds. 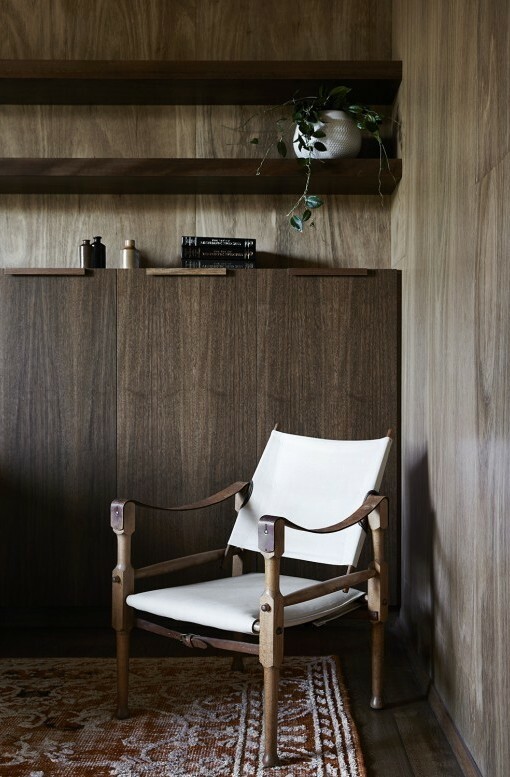 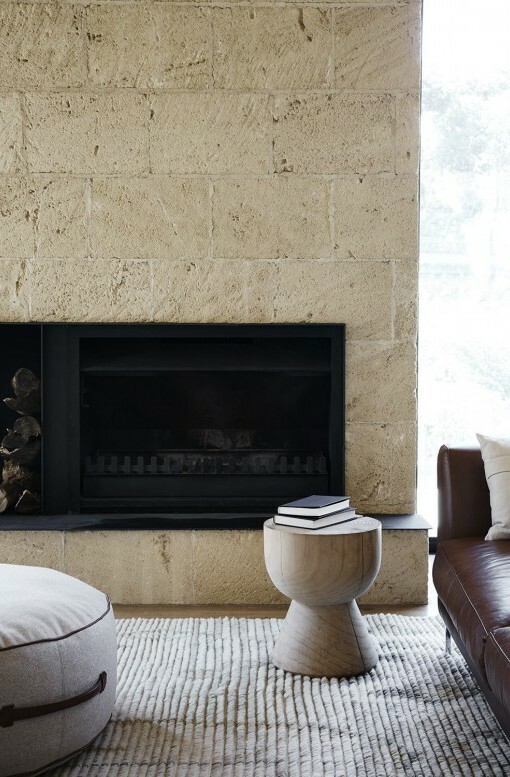 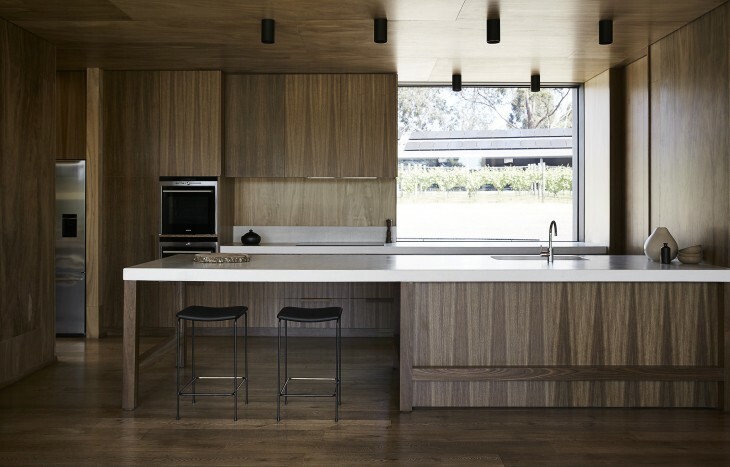 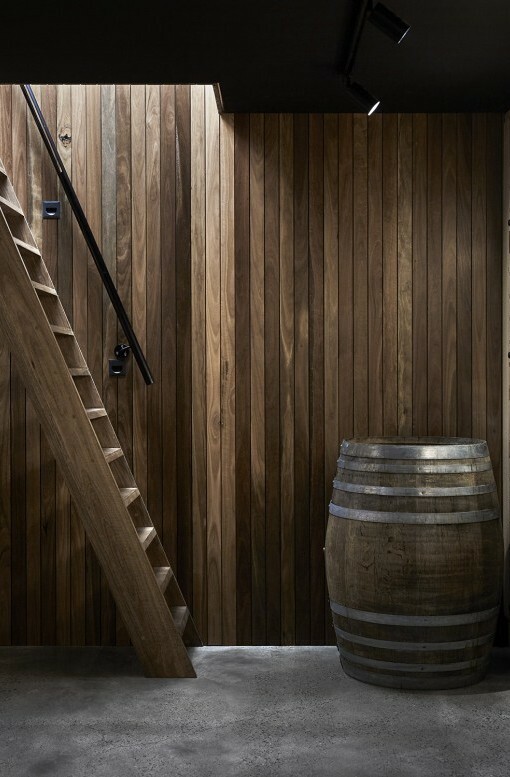 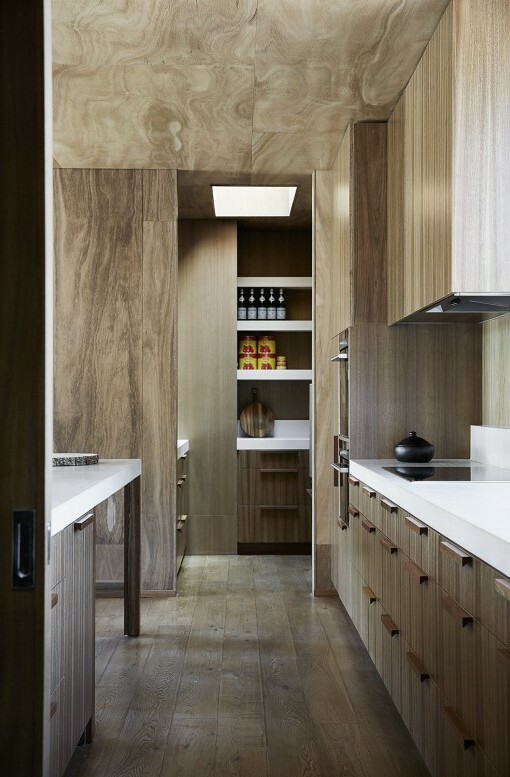 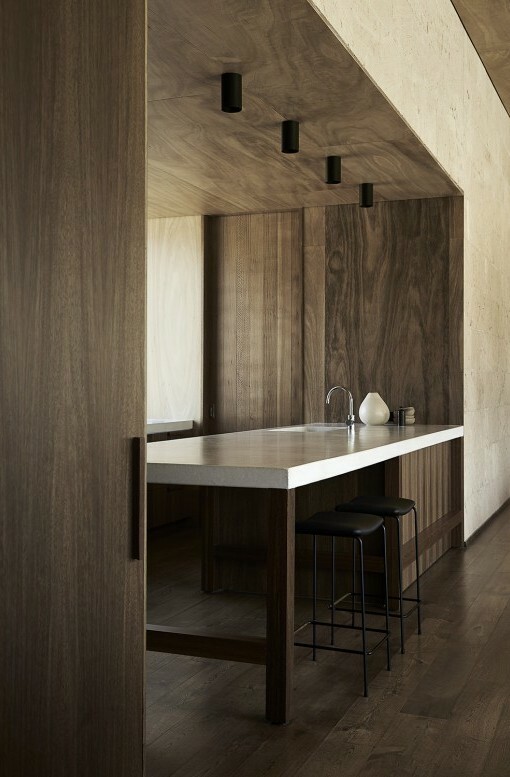 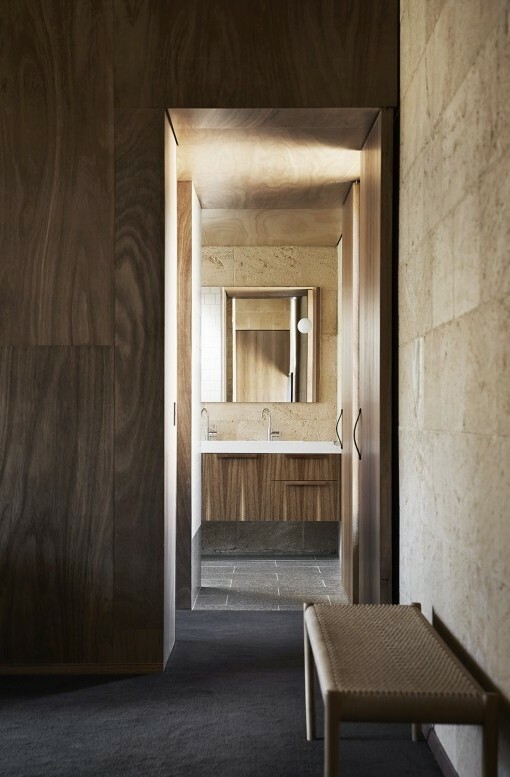 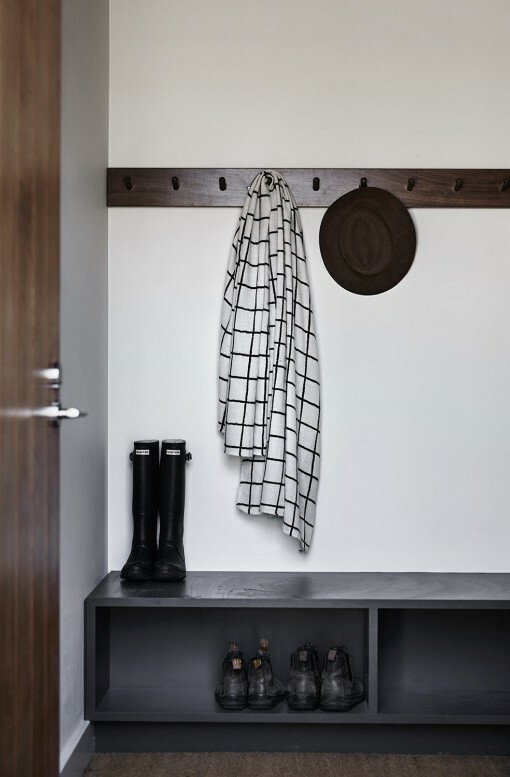 Plasterboard is eliminated internally, and the rustic earthy palette, including spotted gum ceilings, creates atmosphere.